Maryland has been receiving an incredible amount of rain this past month and as a result flooding has occurred in many areas of Central Maryland, including the devastation once again of Ellicott City. 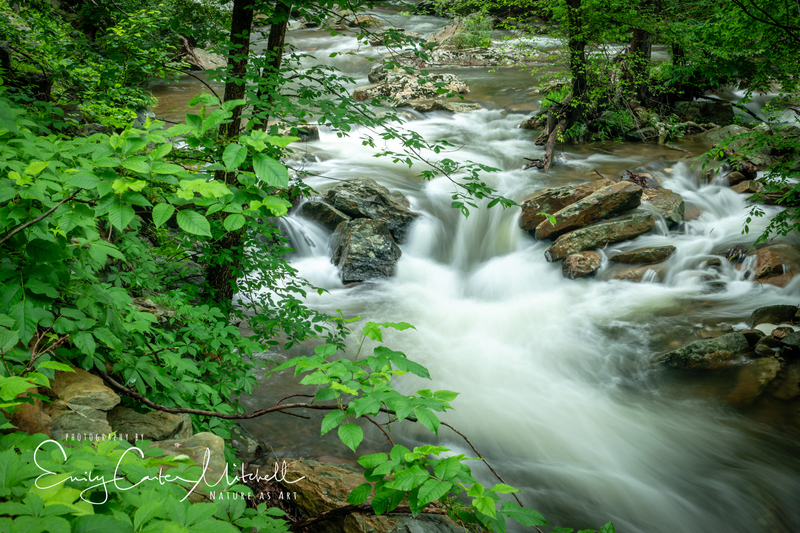 With so much rain, Cunningham Falls in Catoctin Mountains near Frederick surely would be bursting with water and I couldn’t wait to get the chance to head out there and see them in their glory. Arriving at opening time at the William Houck section of Cunningham Falls State Park we parked at the closest parking area to the trail head and took the lower trail towards the waterfalls. It was only 8:30 in the morning and we had the park to ourselves. Knowing that other visitors would be soon to arrive, we entered in the wet, green forest and followed the rambling trail. It has been raining so much that I started to get the feeling as if I was in Maine. So green, so damp, the forest floor covered with ferns and moss. Little chipmunks chattered in the forest and ran across the trail upon our approach. Arriving to the waterfalls, the pounding sounds of the waterfall drowned out the rest of the world. The landscape was spectacular and green with overcast skies. Perfect conditions for capturing slow exposures for blurring the water. Using my 24-105mm lens on my Canon 5D Mark IV, I took full advantage of my Really Right Stuff “L” bracket and captured both horizontal and vertical images. I only needed to use my recently acquired Singh Ray Lighter/Brighter Color Combo Circular Polarizer Filter. 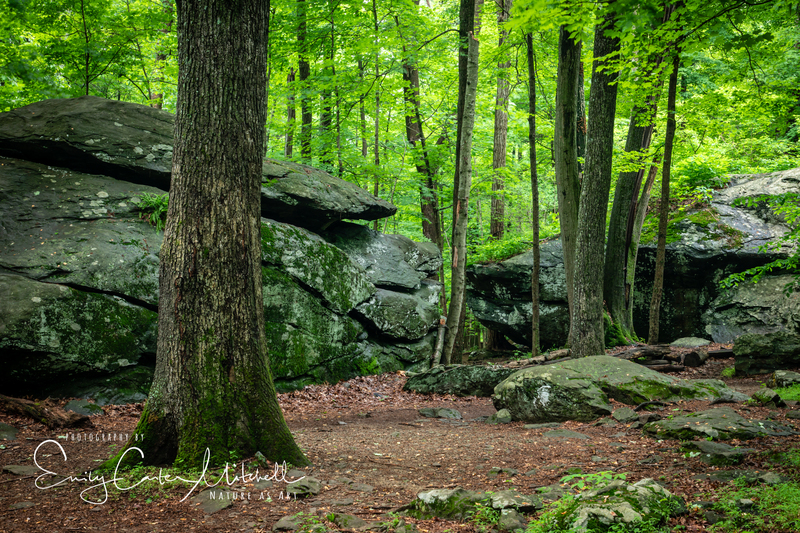 This filter is such a powerhouse and really enhances nature’s colors and helps reduce glare on brightly colored rocks and wet leaves in the forest floor. Upon our return, we were able to take the much more difficult Cliff Trail which is a more challenging trail filled with rocks and a trail that leads between large boulders. 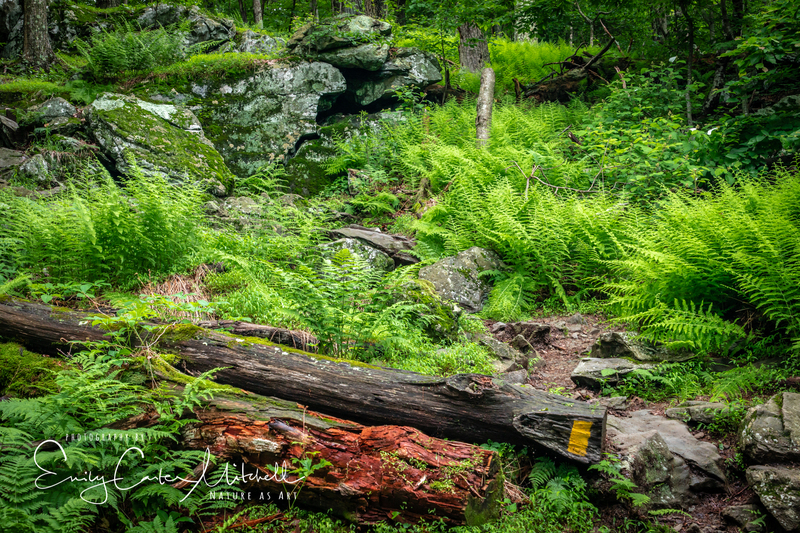 It is a favorite trail section of mine of all the trails I’ve hiked in Maryland, but in the more recent visits I’ve had in the park, it has been a trail just a bit much for other group members that I’ve been leading. It was such a treat to be able to enjoy the Cliff Trail. It was a magical and wonderful outing today in the mountains. Oh to return again soon. Beautiful photos – everything is so full and lush! It’s been so wonderful this week Eliza. I’m sorry for the delay in responding to you – I’ve been a bit under the weather. Maybe not enough sunshine for play but certainly all that rain has provided some awesome photo ops! I love cloudy days for photographing waterfalls KD, makes things so much easier. The rain has been a blessing and a curse at the same time here in Maryland. Thanks. Great shots! I’ve only ever been there with low waters so it is nice to see the falls with a lot! All the rain is great for waterfall photos. Me too Jennifer. I’ve only seen it as a trickle so to see it in full waters was fantastic. Thank you so much.